HOUSTON, TX – With Super Bowl LI just around the corner, FOX Sports begins its preview coverage of the big game today, Monday, Jan. 30, at 9:30 AM ET with SKIP AND SHANNON: UNDISPUTED, live from Houston’s Discovery Green. The show kicks off SUPER BOWL WEEK, a whirlwind of daily studio programming, exclusive specials and marquee live events on the FOX broadcast network and FS1. Monday through Friday, FS1’s SUPER BOWL WEEK leads off with UNDISPUTED (9:30 AM – 12:00 PM ET), followed by THE HERD WITH COLIN COWHERD (12:00 – 3:00 PM ET). Next up is a special Super Bowl edition of GARBAGE TIME WITH KATIE NOLAN (3:00 – 4:00 PM ET), featuring a rotating group of guest commentators and celebrity guests, before FOX SPORTS LIVE WITH JAY AND DAN (4:00 – 5:00 PM ET) and SPEAK FOR YOURSELF WITH COWHERD AND WHITLOCK (5:00 – 6:00 PM ET). Finally, NASCAR RACE HUB (6:00 – 7:00 PM) is live from Houston Monday through Thursday in anticipation of the upcoming DAYTONA 500 on FOX. Each evening, SUPER BOWL WEEK on FS1 continues with a number of exclusive live events, programs and specials, beginning with SUPER BOWL OPENING NIGHT on Monday, Jan. 30, at 8:00 PM ET, officially kicking off Houston’s Super Bowl festivities. A variety of marquee events highlight the rest of the week’s schedule, including BIG EAST and Pac-12 basketball, live UFC action, Premier Boxing Champions, Monster Energy Supercross, Bundesliga matches and a U.S. Men’s National Team international friendly. On the eve of Super Bowl LI, the NFL salutes the best of the 2016 season with its annual NFL HONORS awards show, airing at 8:00 PM ET on the FOX broadcast network. The next morning, FOX Sports begins day-of Super Bowl programming at 11:00 AM ET with the Emmy Award-winning NFL Films’ ROAD TO THE SUPER BOWL. At 12:00 PM ET on FOX, the SKIP AND SHANNON: UNDISPUTED SUPER BOWL SPECIAL brings the thought-provoking duo and their incisive discussions to the FOX broadcast network for the first time ever. FOX SUPER BOWL KICKOFF welcomes viewers to the official start of FOX’s Super Bowl LI pregame coverage with host Charissa Thompson and analysts Colin Cowherd, Josh Norman, Dave Wannstedt and Charles Tillman at 1:00 PM ET. At 2:00 PM ET, America’s highest-rated and most-watched NFL pregame show, FOX NFL SUNDAY, airs for four-and-a-half hours leading into the big game, featuring co-hosts Terry Bradshaw and Curt Menefee, analysts Howie Long, Michael Strahan and Jimmy Johnson, NFL insider Jay Glazer and FOX Sports rules analyst Mike Pereira as they take viewers to kickoff. Finally, at 6:30 PM ET, live from NRG Stadium in Houston, Super Bowl LI kicks off with play-by-play announcer Joe Buck and analyst Troy Aikman on the call, with reporting by Erin Andrews and Chris Myers. Following the contest, Bradshaw officiates as NFL Commissioner Roger Goodell presents the Lombardi Trophy to the winning team. The FOX NFL SUNDAY and FOX NFL KICKOFF crews recap the game and break down the biggest plays that crowned a new Super Bowl champion on FOX and FS1. In addition to FOX and FS1’s offerings, FOX Deportes takes over Houston for its second Super Bowl with week-long coverage from Discovery Green beginning on Monday, Jan. 30, with special editions of its NFL show, NFLeros, the sports and entertainment news show FOX DEPORTES EN VIVO, and its leading news program CENTRAL FOX. Super Bowl XLV champion Brady Poppinga, play-by-play announcer John Laguna and renowned sports broadcaster Jessi Losada call the action for Super Bowl LI with reporting and behind-the-scenes coverage by Pablo Alsina and Valeria Marin. Game action is followed by an hour-long post-game show recapping the showdown. 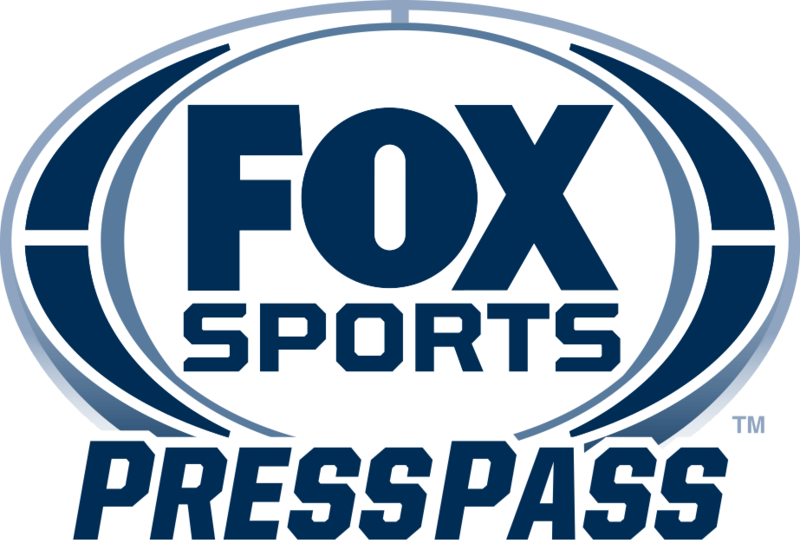 For additional information, including a full programming schedule, visit the Super Bowl LI page on FOX Sports Press Pass.